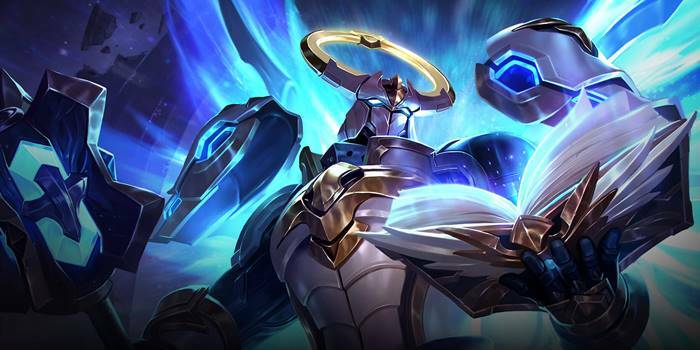 Xeniel Item Builds Guide for Arena of Valor (AoV). Each build is geared toward a different play style, so choose one that fits your personal preference. These items are necessary in order to play Xeniel optimally. Only diverge from a core item if you are a very experienced player or you have a very good reason for doing so. Frost Cape Frost Cape is crucial on Xeniel for a few reasons, despite the lackluster HP and armor it provides for its price. Because Malleus is his only form of CC, Xeniel needs the extra slow to stick to his enemies in team fights and/or one-on-one situations. Also, Frost Power triggers off both the casting and denotation of Divine Protection (though only when manually detonating). Finally, it is the only HP-and-armor item to provide CDR, which is invaluable for Xeniel’s relatively long cooldowns. Amulet of Longevity As a health stacking hero, Xeniel gets more out of Amulet of Longevity than nearly any other hero. The percentage based booth to his health pool is amazing, stretching each of his items’ usage further. In addition, it grants a massive amount of health on its own while also helping the wearer regenerate any HP they have lost. Gaia’s Standard Though a bit overlooked due to the higher stats on Medallion of Troy, the huge health pool that Xeniel will be boasting makes the percentage-based regeneration restore him for huge amounts in fights. Taking attacks for net gains in health will be easy for the Immaculate, keeping him out and fighting for even longer. Note that the passives of Gaia’s Standard and Amulet of Longevity stack, providing nearly 10% healing every 10 seconds. Holy of Holies Holy of Holies can be good for Xeniel who benefits from the hefty amounts of both health and ability power that it provides. The health is the bigger benefit here, as Xeniel can still hit like a truck with health alone. That said, the added ability power can cause a nice bit of extra damage when using Malleus or Angelic Splendor. Shield of the Lost Shield of the Lost is best used on heroes like Xeniel who like to get into the center of fights. While there, he will be able to affect large amounts of the enemy team with the item’s offensive aura (remember it’s just 200 units in range), making the fight that much easier for his team as a consequence. The health and armor that it provides is also welcome. Leviathan Even though Xeniel typically doesn’t jungle, you can still choose Punish for some objective control and the sweet, sweet HP bonus that Leviathan provides. Leviathan gives 1850 HP when fully stacked, more than any other item in the game other than Amulet of Longevity. In addition, Flame Magic allows Xeniel to clear waves faster, letting Xeniel clear before teleporting to his team and preventing the opposing DS Laner from pushing down the tower in retaliation. Medallion of Troy The best way to stave off magical onslaught, Medallion of Troy provides a heavy amount of magical defense, health, and a shield from magic damage. Along with all of this is a bit of cooldown speed, allowing Xeniel to cast his abilities more frequently. Hyoga’s Edge Hyoga’s Edge is another way to hinder enemy movement. It is a much more defensive item than Frost Cape, offering more health and a balance of armor and magic defense. While similar to Frost Cape, it is not necessarily an alternative. Both items’ slowing effects stack, so a hero holding both can completely lock down enemy heroes. Mail of Pain An excellent way to counter physical heroes, Mail of Pain can be a valuable item for Xeniel. The armor and passive will help the Immaculate survive whenever a marksman or warrior starts to snowball. Soaring Aura Soaring Aura offers the health and ability power that Xeniel likes along with a magic defense slashing aura. His tendency to git into the middle fights will cause the aura to spread out across the enemy teams during fights. This will make both his and his allies’ abilities strike that much harder. Gilded Greaves As someone who will be taking a lot of his team’s punishment, Gilded Greaves is a natural choice for Xeniel. The magic defense and resistance offered are great ways to stay alive in team fights. Sonic Boots Sonic Boots works best against enemies who deal physical damage. Get this over Gilded Greaves if an opposing marksman or warrior is starting to get scary. Here we focus almost completely building up Xeniel’s health. He is able to deal large amounts of damage without even bothering with ability power through the HP scaling of Holy Brand and Divine Protection. Each item, aside from his boots, buff up his health in some way, a majority offering some additional utility as well. Amulet of Longevity caps off the build, heavily strengthening the Immaculate wih a heavy amount of HP despite lacking the utility of other items. This build adds some ability power to the mix, strengthening the abilities that are neglected in HP centric builds. There is still a considerable amount of health here, Holy of Holies, Medallion of Troy, and Orb of the Magi providing quite a bit. However, some of the purely defensive items found elsewhere have been replaced with more magic focused items. This will allow Malleus and Angelic Splendor to impact the enemies’ health rather than being purely utilitarian. Don’t take this build the wrong way; Xeniel should not be jungling. He lacks the ganking potential to do much from the jungle and doesn’t have a great clearing speed. That said, Leviathan is a cheap item that offers a very large amount of HP. Taking Punish can additionally help Xeniel counter jungle or farm more quickly. We build upon the hefty health foundation provided by Leviathan with a number of other health items. Similar to the HP Tank build, Xeniel is going to be primarily relying on Holy Brand and Divine Protection for damage. Shouldn’t the Soaring Aura be taken into consideration more?